Are you looking for the perfect family holiday? Camping with kids is incredibly fun, so if you haven’t tried it yet, here are a few reasons to book your camping trip today—whether your group stays in tents or comfy holiday cabins in Wollongong. Sleeping in Wollongong cabins, campers, or tents offers families an opportunity to spend time together and bond. When you camp with your family, you have the chance to participate in lots of fun activities you don’t usually enjoy at home–or you can relax, kick back, and chat while enjoying the barbecue and the stars. Teamwork is an integral part of camping, as you’ll work together to set up your temporary living quarters, prepare meals, explore the area, and many other activities. This teamwork can help you get to know each other, laugh together, and head home feeling closer as a family. Today’s kids spend far more time indoors in front of screens than they do running, jumping, and playing outside. Outdoor experiences offer benefits children can’t get from being inactive indoors. Kids who play outside tend to be healthier, happier, and more well-rounded. Camping is a great way to teach kids about nature and wildlife and instil an appreciation of the world beyond computers and smartphones. Kids learn about nature while camping–but they also learn much more. Even adults learn something new every time they go camping. Children learn about being self-sufficient, and learn about cooking barbecues, preparing meals, setting up a campsite, and how to fish, hike, swim, or enjoy any other activities you and your family engage in. They learn how to entertain themselves without screens and, often, they learn how to get along with each other better, too. Camping can be about more than sitting in folding chairs all day. Although it is an excellent opportunity to relax, it’s also the perfect time to fit in some exercise everyone wants to do. Wollongong campers have access to a world of activities, including hiking, kayaking, climbing trees, collecting driftwood, riding dirt bikes, playing hide and seek, and endless other ways to get active while having fun. The activities you choose will depend on your kids’ ages and interests and the environment you’re in, but the point is to get outside, get moving, and have a blast. 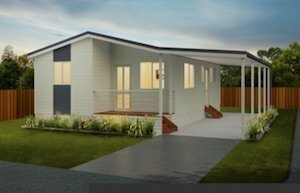 Are you looking for cheap cabins in Wollongong for your family to stay in on your next camping trip? At Wollongong Surf Leisure Resort, we offer clean, comfortable, affordable accommodation for families complete with a heated indoor pool, spa, steam room, mini-golf, bike track, jumping castle, table tennis, and many more amenities your family will love. Whether you are looking for an unpowered tent site, a powered caravan site, or a comfy cabin, contact Wollongong Surf Leisure Resort to book your stay.